If the settings on your software that you are using to view this website (your browser) are adjusted to accept cookies. We take this, and your continued use of our website, to mean that you are happy with this. Necessary for proper functionality in certain areas of our sites, such as enabling the e-commerce part of our sites, (see WooCommerce Cookies below) offering you product and pricing combinations relevant for your region, allowing us to balance the load on our servers, recording user preference for cookies usage, etc. This category comprise both session as well as persistent cookies. Our site may not work well or at all without them and they are always used, regardless of user preferences. Cookies in this category are always set by our site and not third-party domains. These are used to collect information about how you use our sites. We use the information to compile reports and to help us improve our sites, make it more user-friendly and monitor that it is performing correctly. The collected information in an anonymous form about your activity on our sites including the pages you visit and the webpage that referred you to our sites. These may be set by our sites or third-party domains. More information about certain of these cookies is available below in the anonymous identifier section. These are used to collect information about how you use our sites and what keywords you used to arrive at our sites, which websites you have visited, as well as the way you reached our sites. The information is used to compile reports, to help us improve our sites, and generally to tailor product and service offerings to you. These may be set either by our sites or third-party domains. These are used to integrate third-party functionality in our sites, such as YouTube™ videos, feedback forms or social media icons that allow you to share our content. Third parties also include Twitter, Linkedin, and Google etc. The only way to prevent these is to not use our site. To allow you to easily “Like” or “share” our content on the likes of Twitter, Linkedin, Google etc. The privacy implications on this will vary from social network and will depend on the privacy settings you have chosen on these networks. You can switch cookies off by adjusting your browser settings to stop it from accepting them. (Learn how here). This will likely limit the functionality of our and a large proportion of the world’s websites as they are a standard part of most modern websites. 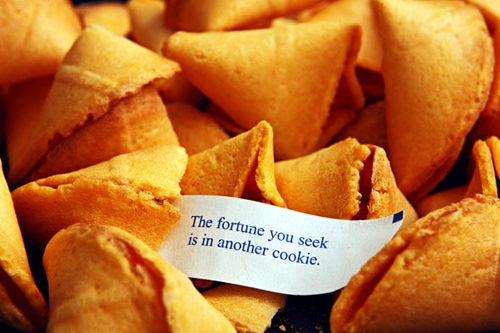 Concerns surrounding cookies relate to so-called “spyware”. Rather than switching off browser cookies, you might find that anti-spyware software achieves the same objective by automatically deleting cookies considered to be invasive. You can learn more about managing cookies with antispyware software. Additionally, the information on this page was derived from content provided by Attacat Internet Marketing http://www.attacat.co.uk. Finally, if you need similar information for your own website you can use their free cookie audit tool. Do contact us if you need any further information or clarification.